I’d almost forgotten how much I loved historical romances . . . I hadn’t read one in forever. Where had they gone, all but swallowed in a sea of plaid and ball gowns? One of my first loves was the Western, watching Bonanza, Have Gun Will Travel, and Maverick as a child, getting lost in Lonesome Dove and How the West Was Won. John Wayne, with his iconic saunter, was my hero. Thank you, Rosanne Bittner, for reminding me. 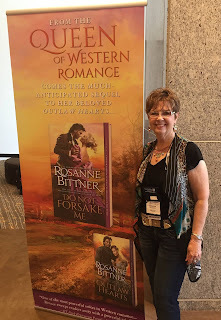 Rosanne and I started out in romance together (okay, she had a head start and was kind enough to mentor me) with the same publisher, Zebra, when westerns ruled a sprawling romance backdrop. We were ‘80s ladies. Our covers toted cactus, six guns, and half-shed prairie dresses. Our heroes were tough, gritty men and our women (and readers) loved them with a fierce determination. Then the publishing landscape changed, as it always will, brushing off the sand and searing sun to move to Regency London and modern million dollar lofts making the western into one of its ghost towns. Thank goodness for the return of the backlist to bring readers – and authors! – back to that first love. 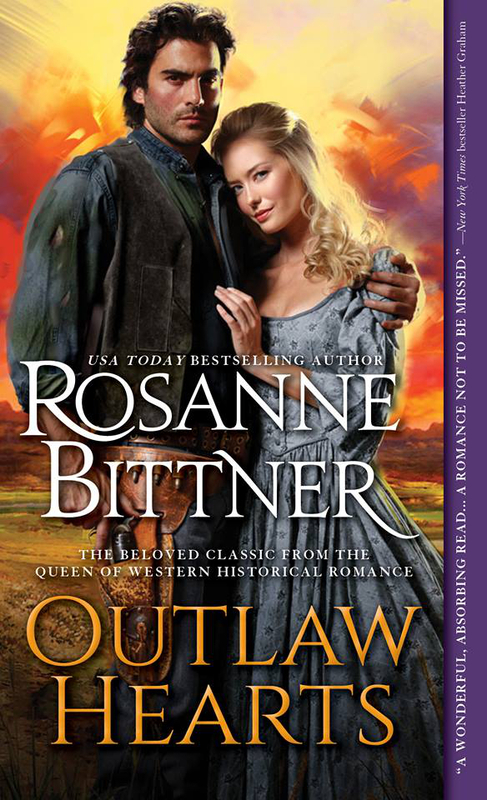 And leading the charge is the Romantic Times dubbed “Queen of Western Romance,” Rosanne Bittner with OUTLAW HEARTS. Give a big “Yee Yah” and welcome back Rosanne Bittner as she takes on my getting to know you 20 Questions . . .
2. Spa or gym workout? A spa day over a gym workout. I’d rather be pampered than sweat my buns off! 3. Early bird or night owl? I am definitely an early bird. Up at 5:00 am every morning, even if I’ve been writing till 2:00 a.m. that same morning. 4. TV at home or movie night out? Prefer TV at home so I can lie around in my PJ’s while watching a movie. 5. 5 words you’d use to describe yourself? Passionate, energetic, opinionated, dreamer, hard worker. 6. What would you do if you had a free afternoon? I would just sit in my garden and watch the birds and rabbits or put earbuds in and listen to my favorite music (which is sound tracks from big, big classic westerns – or really, really good Christian music like the Gaithers – or Bon Jovi. I know, that’s a really wide range! 7. Your favorite book(s) from childhood? All the Nancy Drew books – most favorite of all is A LANTERN IN HER HAND by Bess Streeter Aldrich. An unforgettable story about a woman who gives up her dreams and follows her husband to Nebraska when there was virtually nothing there but tall grass. It’s a very memorable, tear-jerker love story. 8. Something quirky about you? I love to “doodle,” especially filling in the holes in words on things where it doesn’t matter if I mess it up – like filling in the “o’s” in “doodle.” I also love to color in coloring books because again, I’m “filling in” something. Yes, I’m weird. 9. Favorite comfort food? Dark, dark chocolate, especially with almonds in it. 10. Fiction hero you’d would run off with? My beloved Jake Harkner. I ran off with him 22 years ago and we’re still together. 11. Favorite books I could read over and over? This sounds like bragging but it really isn’t – to this day if I pick up one of my Savage Destiny books to check something out, I end up reading it all over again – any of them from #1 to #7. I wrote those books over 30 years ago and to this day they are still my best sellers and when I read them I feel like someone else wrote them. I have no memory of how or when I wrote them myself or how I managed to follow so much history so well. They read like Michener’s CENTENNIAL. The other book I can’t ever put down is my own OUTLAW HEARTS, which is why being able to write the sequel DO NOT FORSAKE ME meant so much to me. 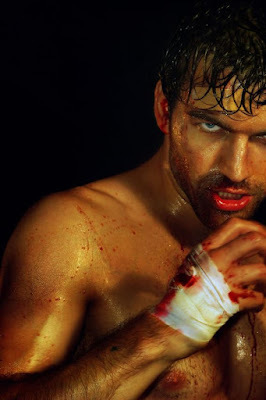 And now I’m writing a third “Jake” book that’s coming in 2016 – LOVE’S SWEET REVENGE. I can’t get enough of Jake. 12. Plotter or free range pantser? Definitely free range pantser. I don’t do outlines or synopses. I tell my editor in one paragraph or so what the book will be about and after over 60 books she knows I’ll come up with a good story. I don’t even worry about the required goal, motivation and conflict. Those things just naturally come into play as I write. 13. Live to write or write to live? It has ALWAYS been “live to write.” For years I worked full time so that was my income, but then the writing income became primary and I quit to write full time. However, I would write for nothing just to be able to share my stories with others. I love, love, love writing. It is never work to me. It’s a pleasure, and it sometimes affects me emotionally because I tend to take on the emotions of my characters. They become very real to me and I can’t wait to get back to the computer and re-join them. 14. Do you have a set writing schedule? No. I “cram” write – Every spare moment. Mostly I write into the wee hours of the morning because that’s when it’s the most quiet and when the best ideas come. 15. How do you get back on the horse after a rejection? I had probably 100 rejections “back in the day” when I first tried writing. They made me very angry because I knew they were good stories, so I just kept sending out and sending out over and over. I wrote one book after another and had them all out there circulating all the time until I finally sold the 9th book I had written – which became my classic SAVAGE DESTINY 7-book series. 16. First person you call when I get a sale? My husband of 50 years. He has put up with a lot and lives like a widower when I’m writing. He’s a very patient, very honest, very good man. 17. What’s your biggest hurdle to getting words on the page? None. I can’t write fast enough to spill out all the books I want to write. I did go a few years without selling anything but that was because I was trying other genres. Once I decided to go back to what I love the most – the “Old West,” I pumped out a book in two months and sold it within another month. I’ve never gone back to trying other genres. 18. How do I get in the mood to write “those” scenes? Oh, Lord, I’m usually so in love with my hero that I can hardly wait to WRITE those scenes!! Pretty embarrassing to say, but I’m not writing “about” the heroine. I AM the heroine and loving every minute of it!! 19. What’s on your desk? A lot of junk. My laptop should be on my desk but for some reason I end up writing on my kitchen table. I feel like I am closer to my poor lonely husband who is nearby in the living room watching TV. And for years I never had an office and sat up into the wee hours writing in the kitchen. I guess I can’t quite get over that habit. It just feels natural and more comfortable. 20. What’s next? My next book is out right now – OUTLAW HEARTS (June 2015) and DO NOT FORSAKE ME (July 2015). Next will be “Jake” #3 – LOVE’S SWEET REVENGE – in September 2016. In between, THUNDER ON THE PLAINS will be reissued in mass paperback in September 2015 – WILDEST DREAMS will be reissued in mass paperback in December 2015 – and all 7 of my SAVAGE DESTINY books are now available from Amazon in print with new covers! For those of you who have old copies of those books that are falling apart, or those of you new readers who have never read the series, you can finally get them in print again – and all my books are available as e-books also. Be sure to check out my Website and my Blog for the latest happenings and what’s coming. I am also on Facebook, Twitter, Goodreads, Pinterest and a zillion other social networking sites. Enjoy! 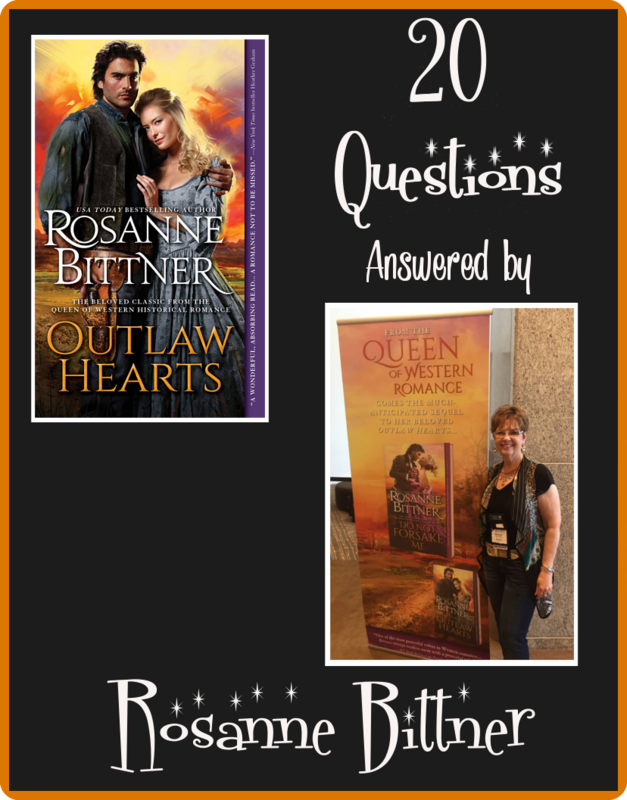 Fall in love with the epic, sweeping romance of Bittner's beloved Outlaw Hearts, called by New York Times bestseller, Heather Graham, "a wonderful, absorbing read, with characters to capture the heart and the imagination." Miranda Hayes has lost everything-her family, her husband, her home. Orphaned and then widowed, desperate to find a safe haven, she sets out to cross a savage land alone...until chance brings her face-to-face with notorious gunslinger Jake Harkner. Hunted by the law and haunted by a brutal past, Jake has spent a lifetime fighting for everything he has. He's never known a moment's kindness...until fate brings him to the one woman willing to reach past his harsh exterior to the man inside. He would die for her. He would kill for her. He will do whatever it takes to keep her his. Spanning the dazzling West with its blazing deserts and booming gold towns, Jake and Miranda must struggle to endure every hardship that threatens to tear them apart. But the love of an outlaw comes with a price...and even their passion may not burn bright enough to conquer the coming darkness. 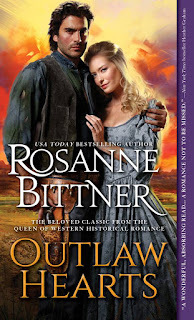 In reading OUTLAW HEARTS, Rosanne's re-release and introduction to two new books following the same gutsy hero and heroine, I found everything that makes a historical work – the larger-than-life stoic hero with a dark past, the determined heroine forced from naiveté into survival mode by tragic circumstance, the gritty, gun-toting, tobacco-spitting, cuss-word tossing streets only the brave (or foolish) dared tread after dark, and the miles and miles and miles of nothing but the lonesome howl of a raw, unbroken land. Her prose pulls you into that world with meticulous but non-intrusive detail until you feel the callouses, smell the scorch of coffee over an open fire, experience the freedom, exhaustion and sheer terror of taming a wild and unpredictable west. Now, I find myself eager to shake the dust off my own Dana Ransom books and get back in the Western saddle. Y’all come back next month when we celebrate the release of DO NOT FORSAKE ME, the next book in the trilogy, by interviewing Jake and Miranda Harkner!! Nothing like winning cool things when the weather heats up . 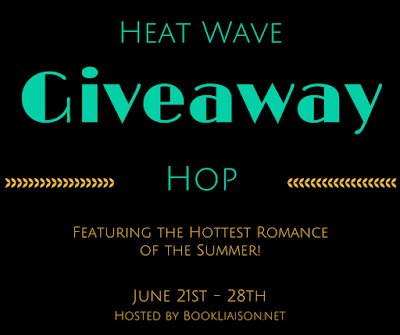 That’s why a group of author/blogger friends and I have banded together to fan the flames of summer with FREE stuff any romance reader would love. There’s nothing I like better on those long, lazy days off than a cool drink and a hot book. You provide the beverage of choice and I’ll help with the reading material by offering a $10 Amazon gift card. What’s your pleasure? A romantic beach read? An adventurous trip through history? Suspense to chill your blood when the humidity rises? A walk on the paranormal dark side in the middle of that sunny day? Take your pick. Start by entering below. 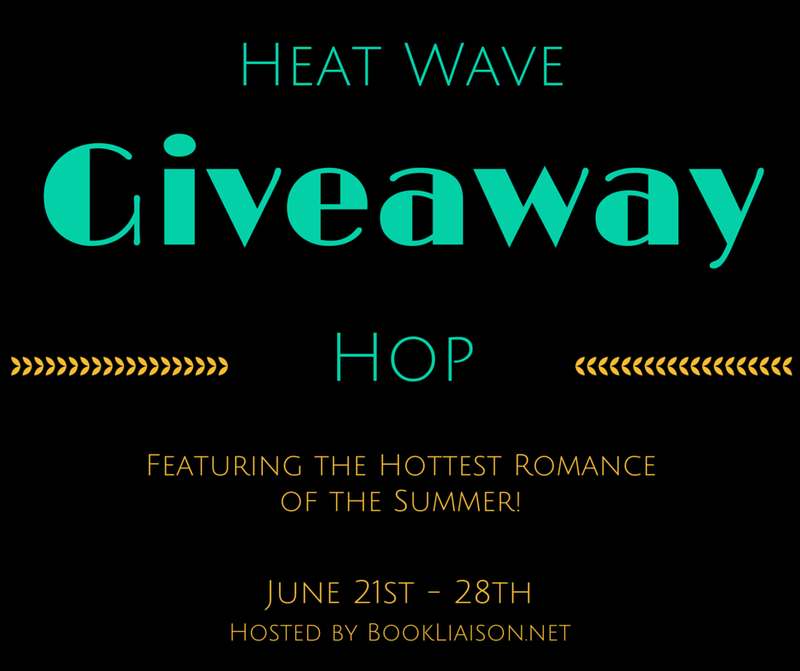 Don’t forget to visit all the Hop sites for your best chance to collect sizzling prizes! The contest runs from June 21st to 28th. To pour on the heat, here’s a freebie sample from my dark paranormal Shape-shifter romance UNLEASHED BY SHADOWS, now in final edits . . . The well-dressed crowd pushed as close as they dared, high on the adrenalin thrill and raw violence. Anticipation electrified the air, a pheromone compliment to the blood already shed. Even knowing what they were about to see, having experienced the jolt, the shock, the wild intoxication of it during the first two rounds, the concept was still unique enough to spike feverish excitement. The illegal factor brought some. The chance of watching mortal combat enticed others. But the whisper, just the glimmer of possibility that what they were seeing wasn’t staged reeled them and their fat wallets in and held them captive. Lights in the dressage ring went dim, bringing those in the bleachers to their feet so they could see over the mob straining against the fence. A deafening cry rose from the spectators as spotlights swirled and finally fixed upon two massive figures loping out into the center of the ring. Breaths caught in amazement as light glinted off the feral red of their eyes and glittered in the strings of drool threading off ferocious fangs. The hunched shoulders, thick with muscle, matted with bristling hair, claw-tipped hands curled and ready to shred anything within reach belonged in a Sci-Fi movie or circus freak show. Animals, monstrous and dangerous . . . at first glance. Until amazed eyes traveled down those heaving chests to Wrangler jeans and work boots still mudded from the docks. Not animals. But not men, either. Was it just amazing theater presented for the exclusive few? The audience didn’t care. The carnage was genuine. The chance to wager and win big real. The pair paused instead rushing forward to lock in battle. Waiting. The arena grew quiet as shaggy heads lifted to test the thick air as if the heavy breeze conveyed an unsettling message. They began to growl and weave warily, not liking what they scented. The spectators stained to see. But the figure striding boldly into the ring to meet the two behemoths wasn’t fierce or frightening in look or attitude. The cocky strut, the taunting grin, the sleek gleam of tanned flesh on brawny arms. Just a man? The beasts drew back in confusion, looking toward handlers who stood in the shadows, not sure what to do when confronted with such a vulnerable opponent. But the slight figure showed no hesitation as he flung fists high as the first hard rocking chords of “Fire Your Guns” shattered the humid air. Chanting started small and built like a squall out on the Gulf, rolling in louder and louder. The fighter responded to their cries with a sudden echoing roar. His hands gripped the front of his tee shirt as his head fell back, and he was lost within a flash of dazzling light. And when blinking eyes adjusted, they went wide to see standing in the small human’s stead a creature covered in a thick red-gold pelt, lupine features lifted in a savage howl. Same clothing. Same black armband. Same widely planted stance. As if he’d transformed from man to beast right in front of them! IWSG: How’s that Career Plan Going? I laughed when I saw this on Facebook, and then I looked harder. Half the year’s gone, and the smooth road I imagined for myself has turned out to be more American Ninja obstacle course than that quick road race. Some days I long for the simple years when I first got published, when ignorance was bliss. I’d open my notebook and write my stories, type them up and send them to my editor in a big honking box, then I waited to see my book there on the shelves where I bought my groceries, did my shopping and got my gas, and no one knew I was the author. Writing was my job, my ONLY job (other than raising those two kids!). And I loved it! It was intimate, personal, mine! Now, writing occupies the LEAST amount of my time. There’s the 9-to-5, blog, website, FB, Twitter, Goodreads, Pintrest, etc. to maintain, groups, loops, a grandson (hey, no complaints about that! ), numbers, rankings, reviews to obsess over, contest judging, critiques to do, art fact sheets, back blurbs, book trailers, playlists, hosting and guesting on other sites, Hops and giveaways (and that’s just my To Do list this month!). And I LOVE all those things, too. But some days I miss it being just me and that notebook. When a career plan goes from perma-press to natural cotton, it takes some extra effort to get all the wrinkles out, but there’s a certain satisfaction in knowing what went into making it look smooth to the casual observer. And burns a lot more calories. Part of my current busyness is getting my Touch of Midnight vampire romance series dusted off and ready for repackaging with ImaJinn Books (now an imprint of BellBooks). Written during those simple paper manuscript times, the first three books haven’t been in print for 20 years, and to get them ready for a July book-a-month relaunch of the entire series, I’ve been swamped with art fact sheets, scans, copy edits and proofs coming in practically every week (a high class problem to have, but an exhausting one!) that leaves next to no time to get my current WIP finished. Finding time to do both (AND all the rest!) has been frustrating, to say the least. 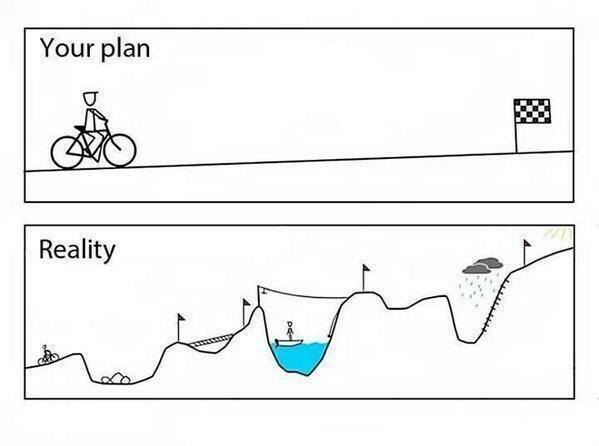 But I’m getting there, pedaling hard and coasting downhill when I can. How’s your career plan looking at this mid-year mark? Smooth sailing or motocross moguls? 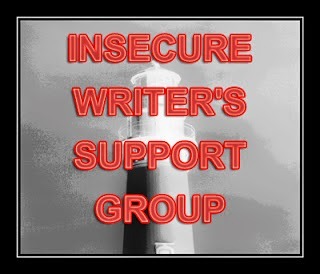 IWSG awesome co-hosts for the June 3 posting will be M. Pax, Tracy Jo, Patricia Lynne, Rachna Chhabria, Feather Stone, and Randi Lee!